This 3" & 4" Basin Adapter is manufactured from High Impact Polystyrene (HIPS). 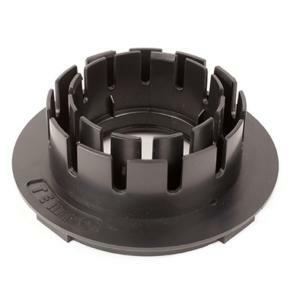 The Basin Adapter may be attached to the 9", 12", and 18" Square Catch Basin,or the 9" and 12" Low Profile Basin to connect to 3" & 4" Sewer & Drain Pipe, 3" & 4" Corrugated Pipe and 3" & 4" Triple Wall Pipe. The Basin Adapter is easily installed or removed by rotating clockwise or counter-clockwise respectively.